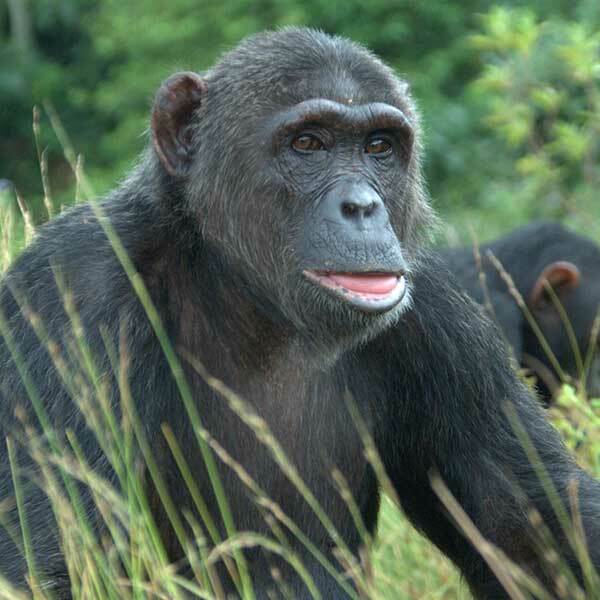 My name is Nani and I arrived at Ngamba in 2002. I’m originally from Congo but was rescued in Tanzania. My name means ‘who’ in Swahili because the Tanzanian caregivers had never seen a baby chimp before and wondered ‘who’ I was! I love being out in the forest and am often the first one to run out in the mornings. I’m also quite friendly with all the males so I’m rarely the focus of their aggression which can be so common in our group social dynamics.